This enhanced process allows you to use the brilliance of glass in varied domestic, retail and commercial applications. Some examples include kitchens, bathrooms, furniture, wall cladding for both decorative and functional purposes. Our superior glass combined with other building materials and lighting creates an outstanding and durable finish. 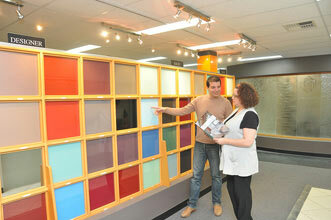 Visit our showroom located in Gnangara or the selection centre at Home Base Expo, Subiaco. Check out our website and view our gallery of images that give you ideas on our capabilities and what glass products are available for your new renovation. Simply measure your space and visit one of our showrooms for one of our consultants to give you professional advice and product awareness. 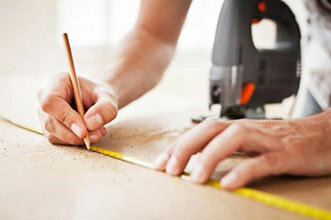 We will check measure once you have decided what will suit your application. We specialise in residential and commercial supply and insullation in the Perth Metro and country regions of Western Australia. Each job has to pass our stringent quality systems to ensure specifications are checked and cross checked before leaving our workshop. 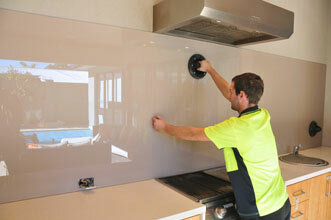 Our installers are highly trained and knowledgable with emphasis on care and friendly service.